This ship is no longer operated by Fjord Line. 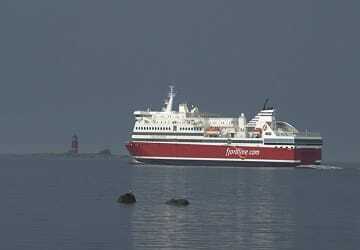 MS Oslofjord was built during 1993 in Finland. However after having gone through a total upgrade in appearance and design the MS Oslofjord was put back into service as a cruise ferry in June 2014. Up to 1800 passengers can be held onboard with over 300 vehicles able to be stored in its garages. 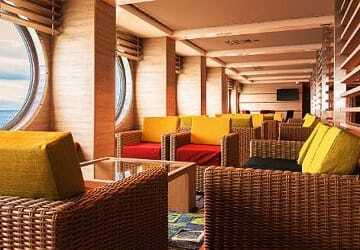 There a numerous facilities onboard to keep you entertained through out your crossing, the Beach and Sun bars, two restaurants, children's play area, tax free shop and more. MS Oslofjord has room for seating for everyone whether it be in the airplane type seats in the common room or if the suns out there is pleasant outdoor seating on the top deck. 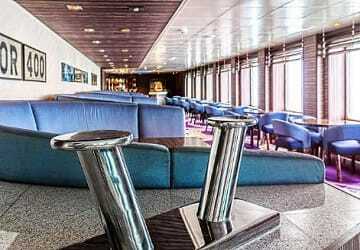 Most cabins onboard were removed during the refit, to make room for more amenities and seating. MS Oslofjord like all Fjord lines vessels has a vast range of restaurants and bars for you to eat and drink in during your crossing. Commandor Buffet on deck 3 has seating for 178 passengers serving breakfast, lunch and dinner with hold and cold dish options available to choose from throughout all these sittings. An alternative place to dine is the Oasis Garden Buffet, here you can help yourself to whatever delights are on offer, from the delicious items cooked from Fjord Lines own bakery to homemade hot and cold meals. Fjord Lounge, Fjord Beach Bar and the Sunbar all offer places to sit and enjoy a nice beverage with a light snack. MS Oslofjord has largest tax free shop of all the Fjord Line ferries being over 1200 square metres, you can walk freely around picking up bargains for yourself or loved ones. 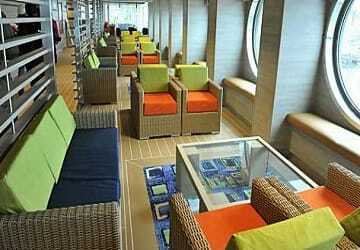 Children are well catered for on the MS Oslofjord with a colourful and fun playroom onboard. During school holidays Fjord Line add something extra for the kids, they will organise fun and exciting activities for them to participate in during the crossing. Please Note: Whilst we have taken great care in making our MS Oslofjord guide as accurate as possible, onboard facilities, services and entertainment may vary depending on the date and time of year that you travel, facilities mentioned may change without notification and ferry companies reserve the right to operate vessels other than those mentioned at time of booking without prior notification.